Free Shipping + 20% OFF automatic discount for orders! Long Bill Ball Caps are designed to provide extra protection against the sun. They are designed with larger bills so that it provides full coverage against the sun. Browse through our wide selection of Long Bill Caps through our website. Ball caps are a great decision for anyone looking for a hat that will shield their eyes from the sun while showing off style and taste. Ball Caps with a long bill feature a rounded cap with an extra-long brim extending from the front of the hat. This functions to give generous protection from sunlight. Made of light, flexible fabric, the long bill ball cap comfortably fits the shape of the wearer’s head while providing breathability. Some long bill ball caps also have small eyelets near the top of the cap, further providing ventilation for the wearer. Ball caps have its origins within the sport of baseball, but now can be seen in other groups as well. From athletes to the military to the police force to wearers of fashion trends, this hat is popular with all kinds of people worldwide. It is functional while also retaining taste and personality, produced in different colors and styles. If you are looking for a Ball Cap that can provide extra protection against the sun, then Long Bill Caps are for you. As the name implies, the Long Bill Caps have wider and longer brims or visor that provides full coverage against the sun. And just like other Ball Caps, they come in different styles and designs. 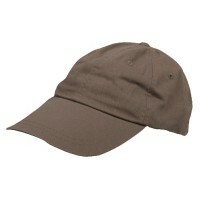 Classic Long Bill Caps is great as it does not only provide extra sun protection but it also complements your daily wear. Since they are designed for extra protection, the water repellant Two Tone Caps do not only provide sun protection but it also repels water. It is definitely a great hat to wear if you are on a camping or fishing trip. Not only does it repel water but it is also made from breathable and lightweight material for add comfort. If you are still not satisfied with the protection that the other long bill hats provide, then the Ball Caps are for you. It is not only water repellant but it also provides extreme protection against the harmful rays of the sun.